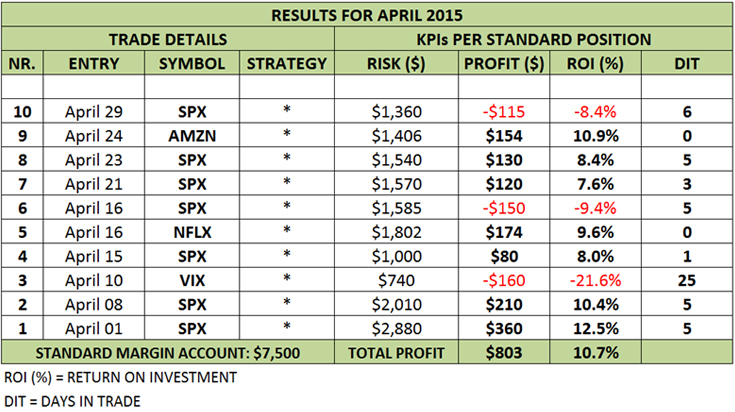 The trading results below are per Standard Lot Size and the $15,000 Standard Margin Account. For trading larger accounts the Standard Lot Size should increase accordingly, as taught at the “Managing Your Options Portfolio” Seminar; this is part of the “10% Profit per Month Trading Options” Program. 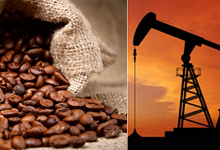 Larger accounts ($75,000+) traders are advised to subscribe to the Commodities Futures & Options Trading Signals Plan. * Strategy & full details for each trade are revealed in the Trading Signals “SIO” page. DEC 2017: Travel + winter holiday. Wishing you a Merry Christmas and a Happy New Year 2018! Wishing you a Merry Christmas and a Happy New Year 2017! 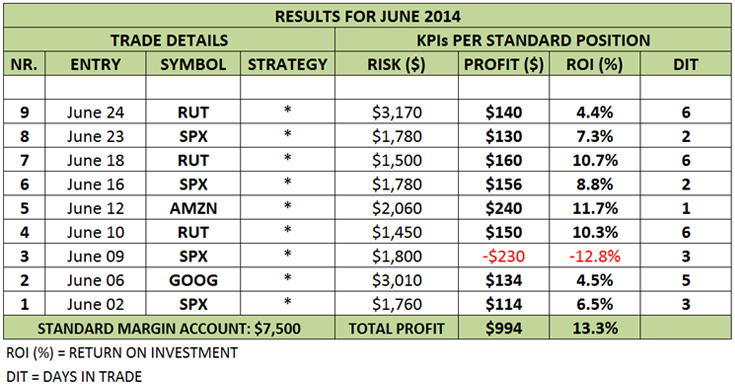 The trading results below are per Standard Lot Size and the $75,000 Standard Margin Account. For trading larger accounts the Standard Lot Size should increase accordingly, as taught at the “Managing Your Options Portfolio” Seminar; this is part of the “10% Profit per Month Trading Options” Program. You may contact us to discuss further details. 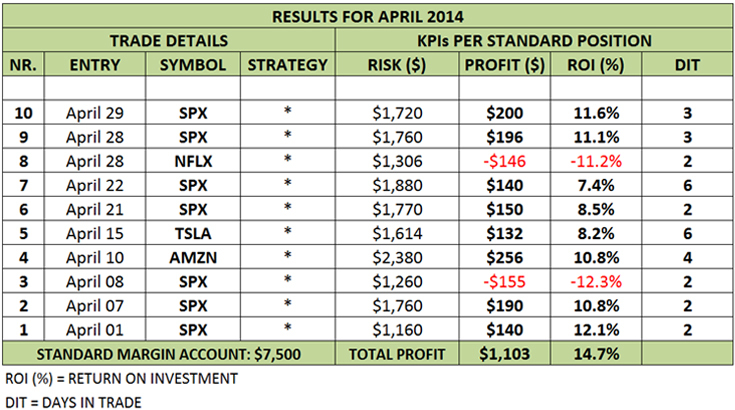 * Strategy & full details for each trade are revealed in the Trading Signals “CFO” page. Please subscribe to the Trading Signals only after reading the notes below. Feel free to contact us for any further clarifications. We strongly recommend susbcribing to the Trading Signals service only after participating at the “10% Profit per Month Trading Options” Program. You need to understand the principles and the techniques in order to achieve the 10% profit per month objective. We send precise and timely trade signals; yet you may tweak them when putting on trades if you do not thouroughly understand the strategy behind and have the necessary options trading experience. We send trade signals alerts whenever we put on a new trade or an adjustment to an existing open trade. You can then find the trades on the password protected pages: the Stock & Index Options Trading Signals and the Commodities Futures & Options Trading Signals. You must provide us either with a valid mobile phone number (Europe, US and Canada only), a skype ID or an email where we can send you the signals alerts. We cannot be responsible for any kind of reasons for which you may not receive our alerts in due time. We send the signals within minutes after getting filled for our own orders. We then post every new trade or adjustment latest at the end of that trading day. 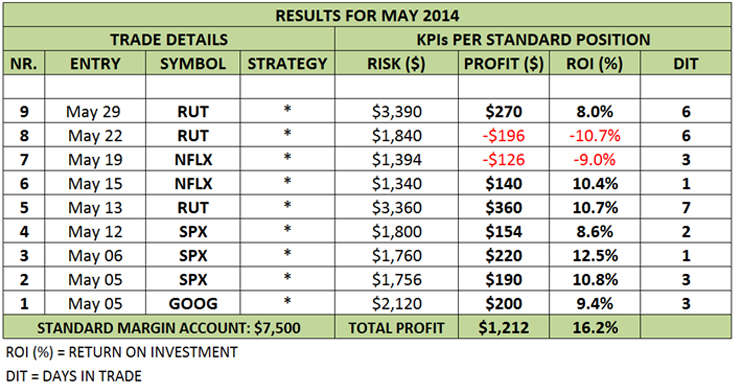 Trading results may be different from one subscriber to another due to different actual fills. During holidays and/or while I am traveling to teach abroad the service may be temporarily off. However, you subscription period will be in such case extended by that numbers of days, accordingly. Please contact us prior to subscribing if you need details about a specific period in advance. The cost for 1 month of “SIO” Trading Signals is €249. The cost for 3 month of “SIO” Trading Signals is €670 (10% discount). The cost for 6 month of “SIO” Trading Signals is €1,195 (20% discount). 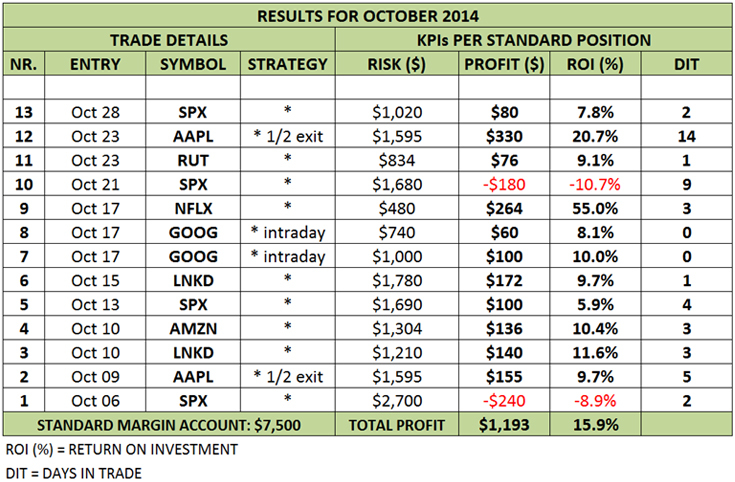 The cost for 12 month of “SIO” Trading Signals is €2,090 (30% discount). This is a NEW Trading Signals Plan, designed for traders with larger accounts ($75,000+). 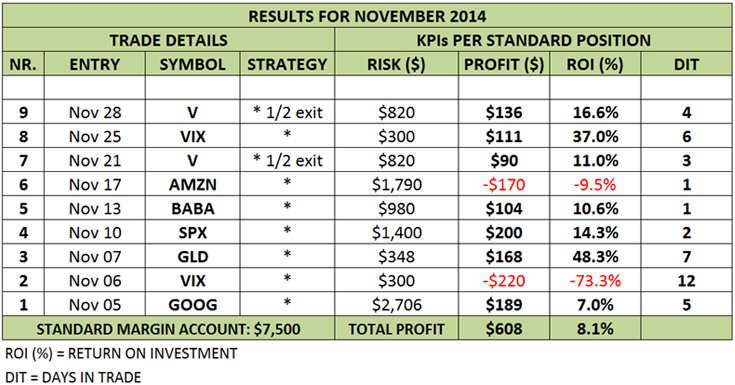 The cost for 1 month of “CFO” Trading Signals is €499. please send us an email to get a discounted rate. If you have questions about the “10% Profit per Month” Trading Signals Plans or about the 10%PPM Program, please email us. Mihai will be able to give you more information in regards to your experience and your personal options trading goals. Alternatively you can get in touch with us via the Skype Chat option, or call us at +40 766 148 888. 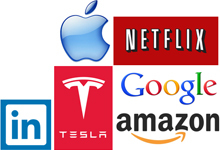 These are great returns in any market condition! I know Mihai for a while now, took a few of his seminars; great guy , very dedicate to teach others all aspects of trading. After joining the 10% Profit per Month service, I achieved two main goals in trading: risks control and consistent returns over time. Mihai is an excelent teacher. He shown great attention and care for my specific trading objectives. The program does what it says. Previous basic experience in trading options is welcome, in such case 2-3 month of practicing the strategies can take you there. 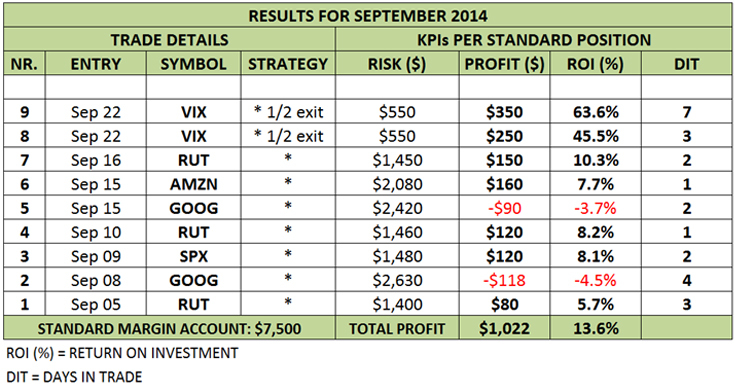 Very nice, simple tactics to control risk. 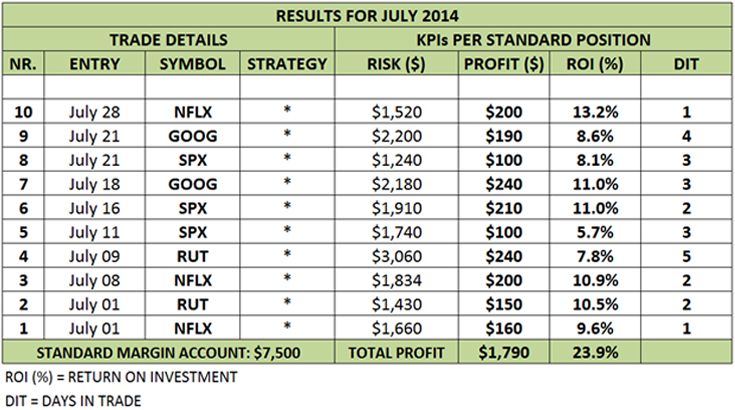 Diversification and portfolio management rules are priceless. Firstly, Mihai is a great instructor. He’s got patience, understanding for who you really are as a person. Can read my personality which has impacted my trading. Secondly, I learnt that yield is everything. I am not concerned anymore with my $9,000 small capital I started with, at this rate it will grow for sure. What’s really important is the return I get week after week on what I risk. Very happy so far, I can consistently see great results in my account. Thanks! Signals are clear. The 10% Profit Program really helps in understanding the ordering and execution details. Some basic options trading experience is needed if subscribing to the signals without taking the program. I think joining this Program was my best financial decision ever. The strategies Mihai teaches are for real, I can put them at work every week. 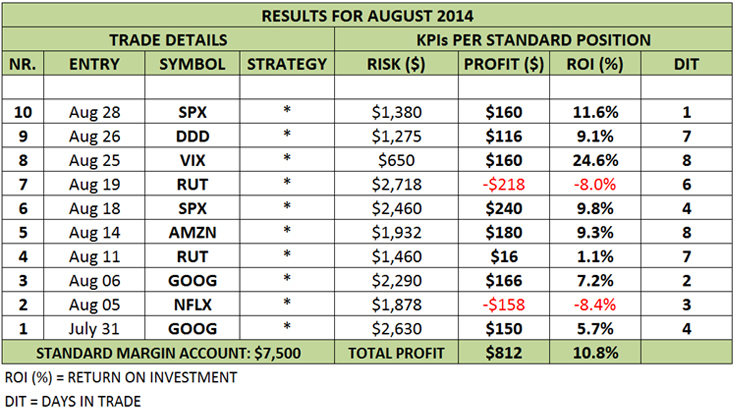 Quite often I choose from the four strategies depending on market conditions. I could not get rid of temptation to guess market direction, but most of these methods accomodate that and I learnt how to adapt them. I was impressed how patient Mihai was when explaining somehting I did not get first time – conditional orders, time and time again, until I understood. 10% profit in just 4 days is great by all standards. But as Mihai taught me, I don’t get greedy and take even less, like 5-6% in 1 day! I have traded for many, many years but never been able until now to fully control my risk and achieve such great returns. Options seem to be the best instrument for me.